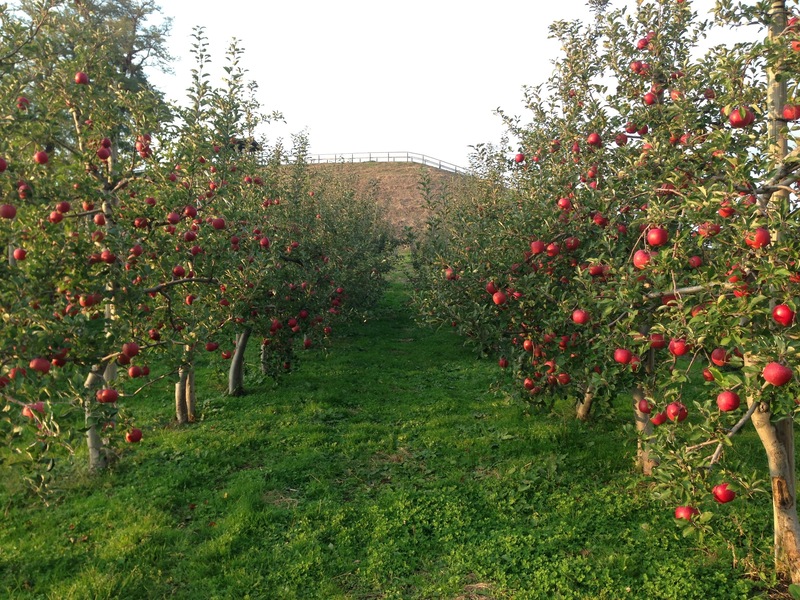 Autumn is also the season of the apple. 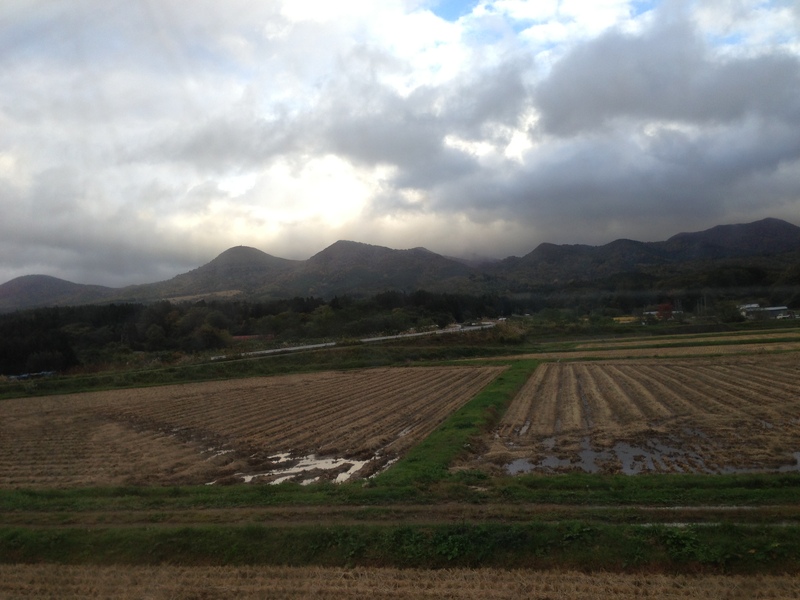 Aomori is home to the famous Fuji variety and produces about half of Japan’s apples. 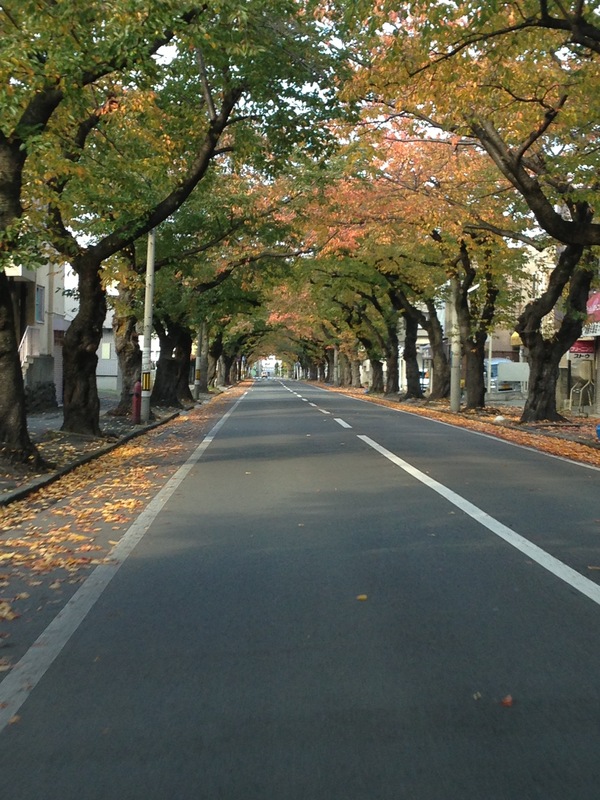 Orchards, their trees heavy with ruby orbs, abound in many parts of the prefecture, but most prevalently around the city of Hirosaki. 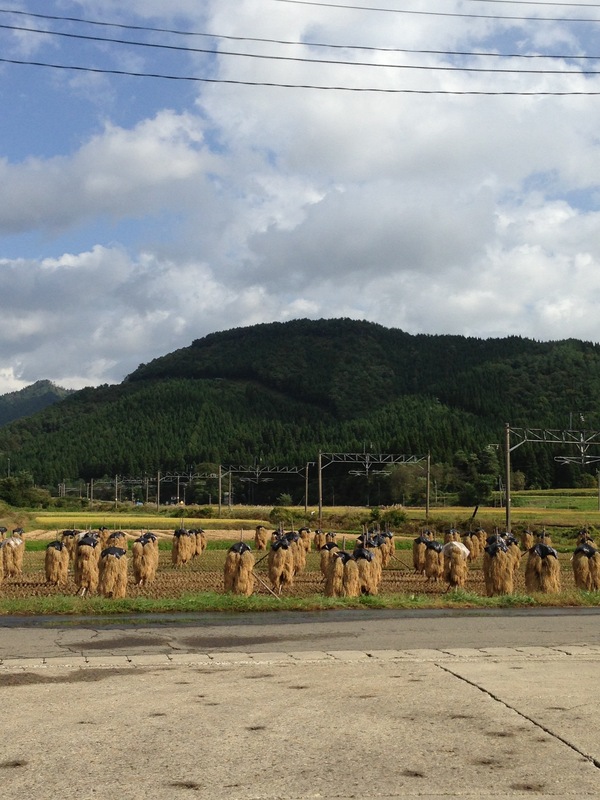 Autumn’s the time for harvesting rice in northern Japan, and these structures start popping up in rice fields all over the place. As far as I can gather, they’re for drying out the plants. The sun begins to set earlier and earlier. This was taken at around 3:30 in the afternoon, and already the sun is starting to dip below the mountains. 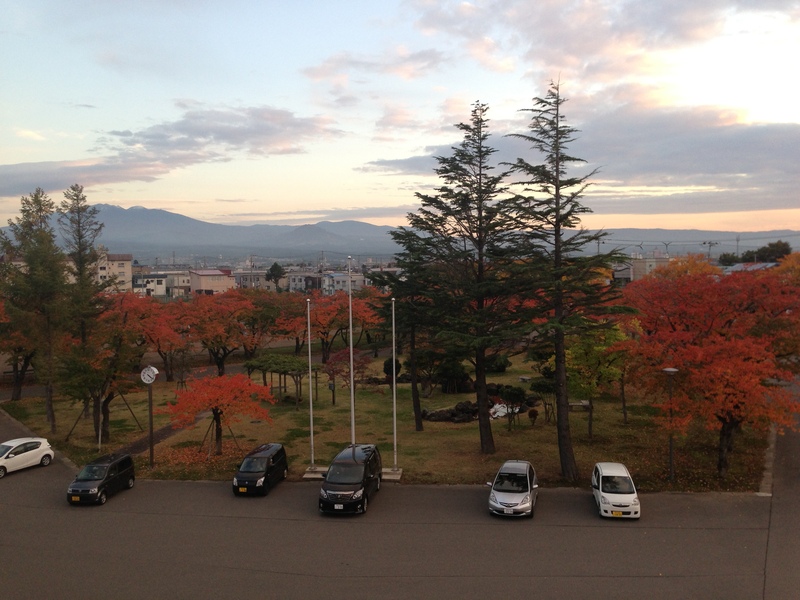 The cherry blossom trees in front of my school are quickly turning cherry-red. 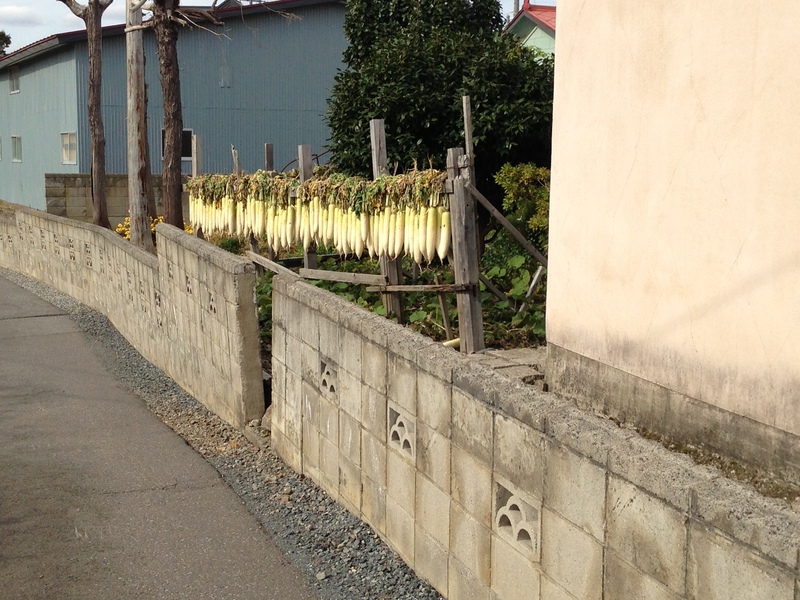 Autumn’s the time for people to harvest their daikon radishes, too. And then they get hung out to dry. This also doubles as an “you know you live in the country when….” sign. 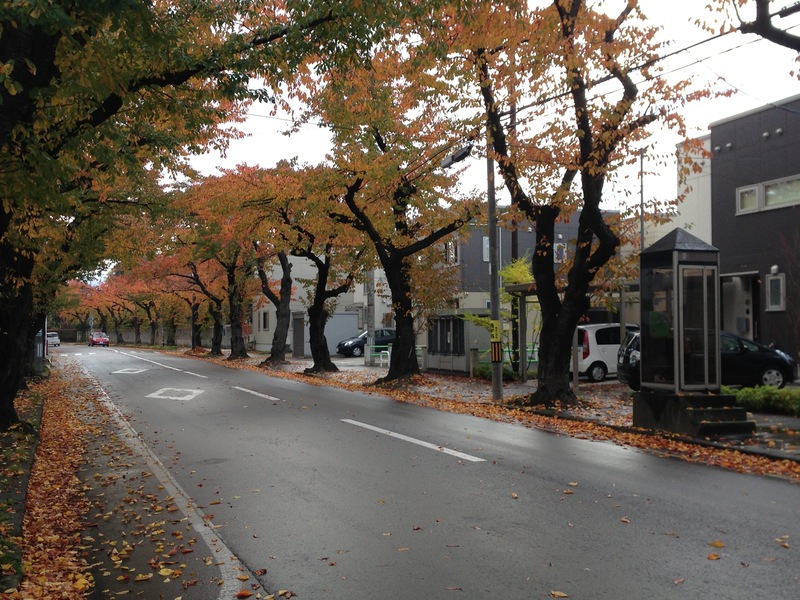 But the number one sign that autumn has arrived? 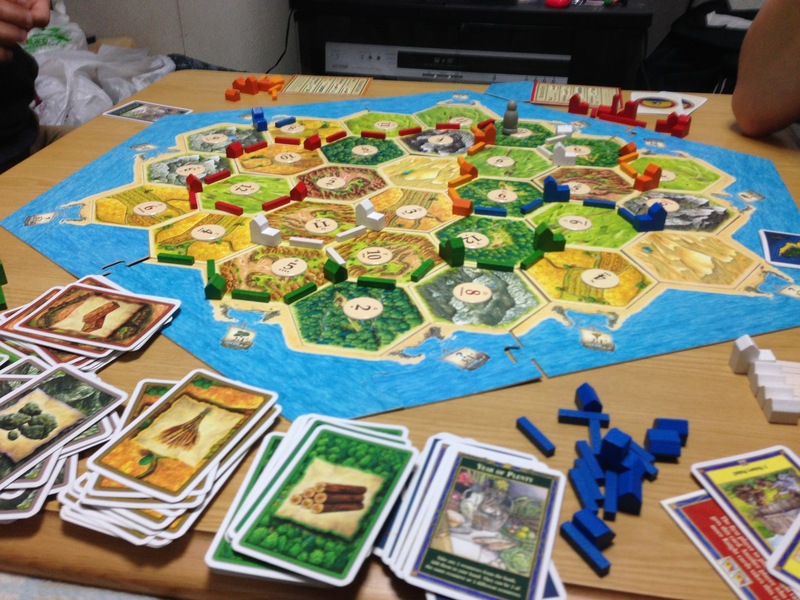 That would be that Settlers of Catan, the game of choice for many Aomori JETs, gets brought out more and more often to pass the hours of the chilly evenings. How ironic, we hung our diakons out to dry just yesterday! And here I thought that method was a Japanese thing! I’ve played the computerized version of Pandemic (Curse you, Madagascar…), but I’ve yet to make the jump to the board game just yet!